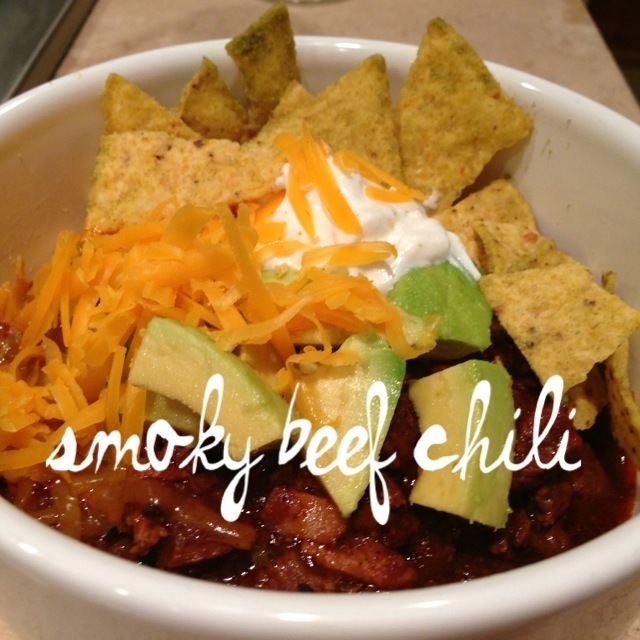 smoky beef chili | Is there any wine left? Chili is Texan. Through and through. It has Mexican roots, but was created in San Antonio. Daniel Boulud is French. He has restaurants all over the world now, but he’s a Frenchman. So its a little weird that my new favorite chili recipe was created by him. A Frenchie nailing Tex-Mex. 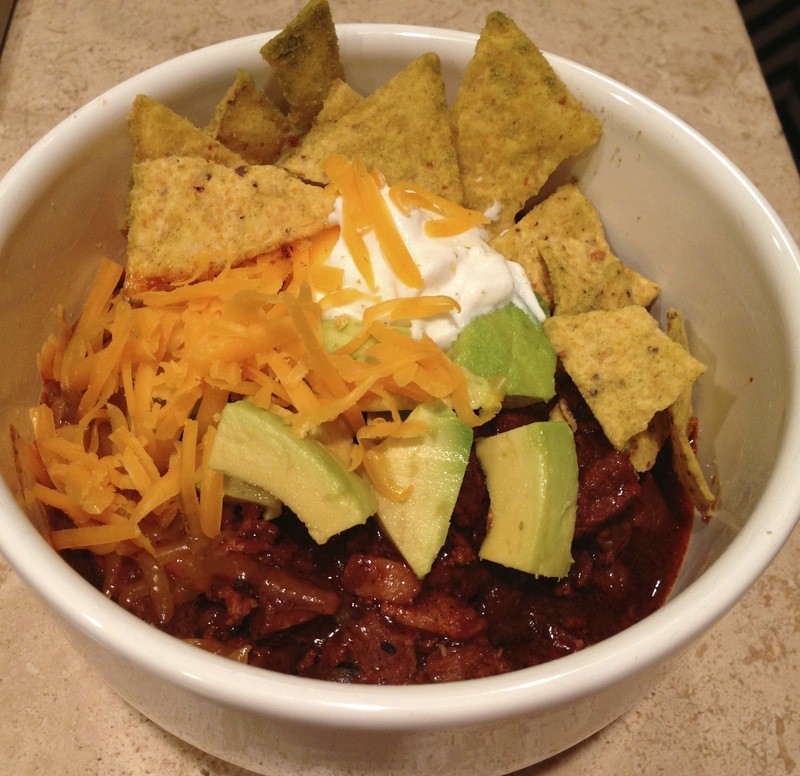 The homemade chile powder gives this chili its depth and layered flavor. 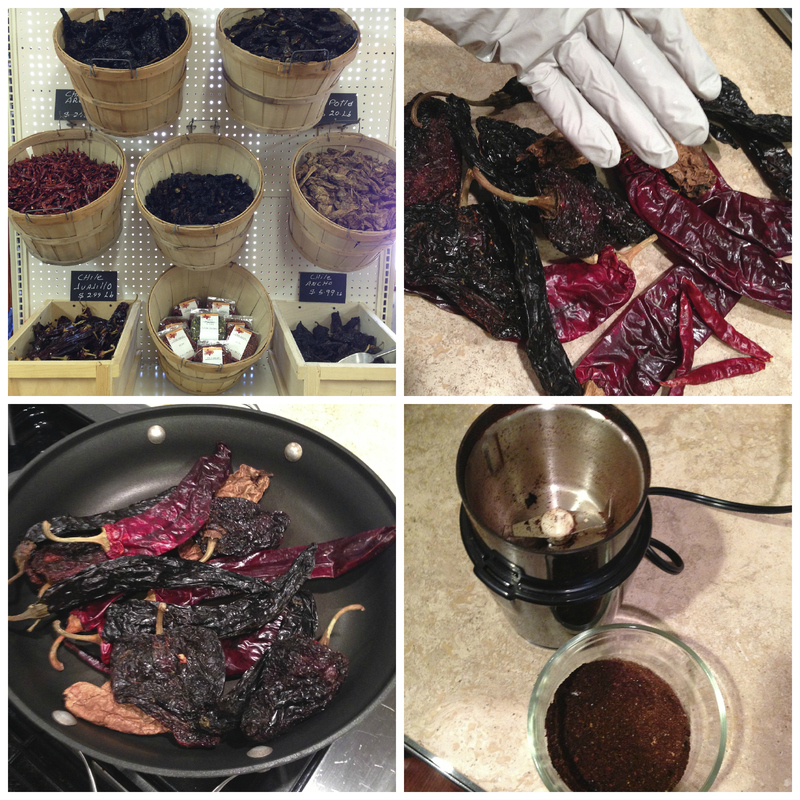 It can be a very slight pain to track down all of the different types of dried chiles, but the end result will blow you away. Find the international grocery store in your town and they’re sure to have them. And here’s what you do with them: In a dry skillet over medium heat, toast the chiles for 7-8 minutes, shaking the skillet every few minutes to prevent them from burning. Then remove the skillet from the heat and let cool. Once they have completely cooled (you don’t want them to steam while you are grinding them), discard the stems and seeds and then use a spice grinder to pulverize them into a powder. You probably cannot do them all at once (unless you have an industrial grinder) so just do a few at a time. Wear gloves while you’re doing this or you’ll rue the day you made this chili when you try to take out your contacts later. Also, don’t do this in your husband’s fancy coffee bean grinder. He will kill you. Buy a cheap spice grinder at Bed Bath & Beyond. Then label the crap out of it as a ‘chile grinder’ because you will never get the residual spice off of it. Anything else you put in it will end up tasting red hot. Zest and then juice the limes into a bowl. Add the masa harina and 3 cups of water. Combine and set aside. When this is added to the chili, the masa harina helps thicken it and the lime really brightens up the flavor. In a Dutch oven over high heat, add the beef cubes and sear until golden brown on all sides, 10 to 12 minutes. Remove the beef cubes to a plate and repeat the process with the ground meat. These are fatty cuts of meat, so if too much liquid accumulates in the bottom of the pan around the meat, pour it out or the meat won’t sear. Remove the ground meat to a plate. In the same pot, lower the temperature to medium-high and add the bacon. Cook until right before it becomes crispy, about 6-7 minutes. Then add the onion, cumin, oregano, and salt and cook until the onions are softened, 10 to 12 minutes. Add the garlic and cook for 2 more minutes. Stir in 1/3 c of the homemade chile powder and cook for 2 more minutes. Stir in the vinegar and Worcestershire sauce and scrape up any browned bits stuck to the bottom of the pot. Return the beef to the pot and add the tomatoes, bay leaf, and masa harina mixture. As you are adding the tomatoes from the can, squeeze (carefully! or juice will squirt out at you) each one until it breaks up slightly. You don’t want whole tomatoes. Also add the juice from the can. Bring the whole mixture to a simmer. Cover the pot and transfer it to a 300 degree F oven for 2 hours, stirring halfway through. Remove the lid and cook for another 45 minutes – 1 hour, or until it is thickened to your liking. Serve with grated cheddar, tortilla chips, sour cream and avocados. p.s. Its better the next day. And the next. But I don’t blame you if you can’t wait. In a dry skillet over medium heat, toast the chiles for 7-8 minutes, shaking the skillet every few minutes to prevent them from burning. Then remove the skillet from the heat and let cool. Once they have completely cooled (you don’t them to steam while you are grinding them), discard the stems and seeds and then use a spice grinder to pulverize them into a powder. You probably cannot do them all at once (unless you have an industrial grinder) so just do a few at a time. Zest and then juice the limes into a bowl. Add the masa harina and 3 cups of water. Combine and set aside. In the same pot, lower the temperature to medium-high and add the bacon. Cook until right before it becomes crispy, about 6-7 minutes. Then add the onion, cumin, oregano, and salt and cook until the onions are softened, 10 to 12 minutes. Add the garlic and cook for 2 more minutes. Stir in 1/3 c of the homemade chile powder and cook for 2 more minutes. Stir in the vinegar and Worcestershire sauce and scrape up any browned bits stuck to the bottom of the pot. Return the beef to the pot and add the tomatoes, bay leaf, and masa harina mixture. As you are adding the tomatoes from the can, squeeze (carefully! or juice will squirt out at you) each one until it breaks up slightly. You don’t want whole tomatoes. Also add the juice from the can. Bring the whole mixture to a simmer.